Encouraged and inspired by my colleague Diana Montaño and Clayton Kauzlaric’s “Then & Again” project, I tried my hand at juxtaposing vintage, historical images onto modern ones. This approach, which visualizes physical changes over time, creates a powerful connection between the past and present of a particular place. In this tutorial, I will introduce the basic methodology for creating such an image using free, nearly universally-available tools. However, keep in mind that I am very much a novice at image retouching and editing, and feedback is much appreciated as I continue to improve this process and its end products. 1. Locate the historical image you wish to superimpose onto a modern one. 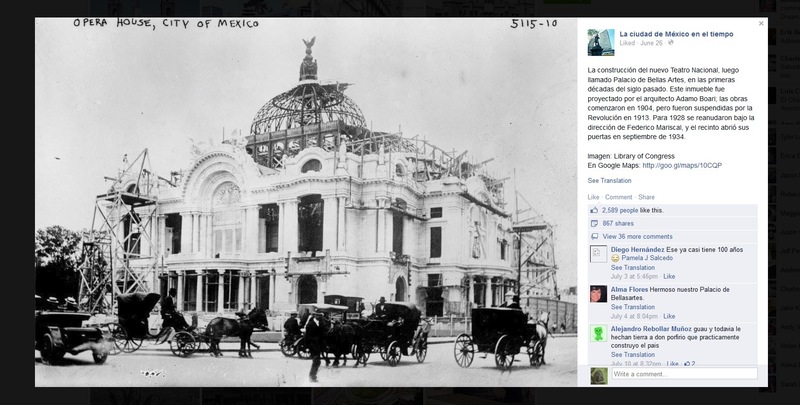 For this example, I will be utilizing the fantastic digital archive of historical photographs of Mexico City created by Carlos Villasana, Juan Carlos Briones, and Rodrigo Hidalgo and located on their Facebook page, La ciudad de Mexico en el tiempo. 2. 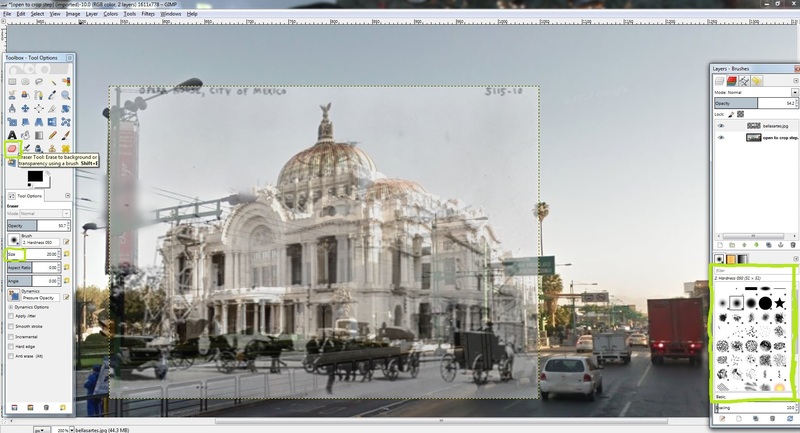 In this case, I selected a photograph of the iconic Palacio de Bellas Artes under construction during the first decades of the twentieth century (See below). 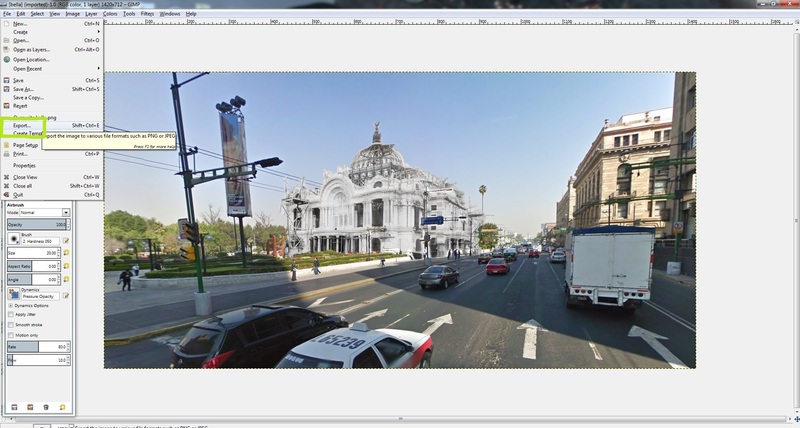 Once one has decided on the historical image, it’s time to find its modern counterpart using Google Maps. 4. 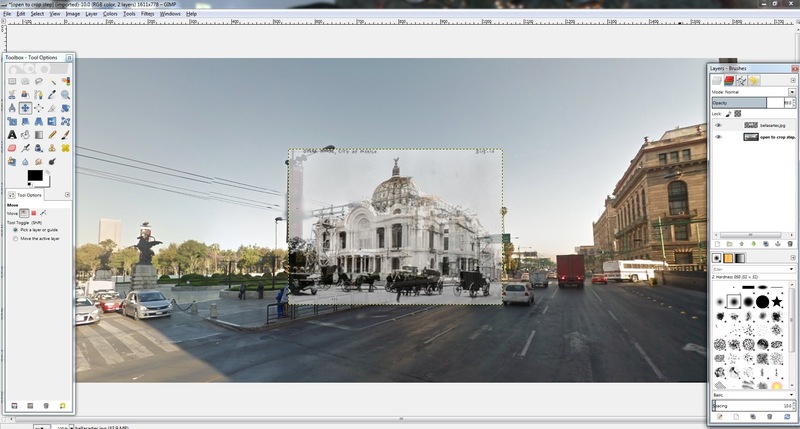 While viewing the modern location In Google Maps Street View, attempt to recreate the same angle and viewing distance as the original historical image. 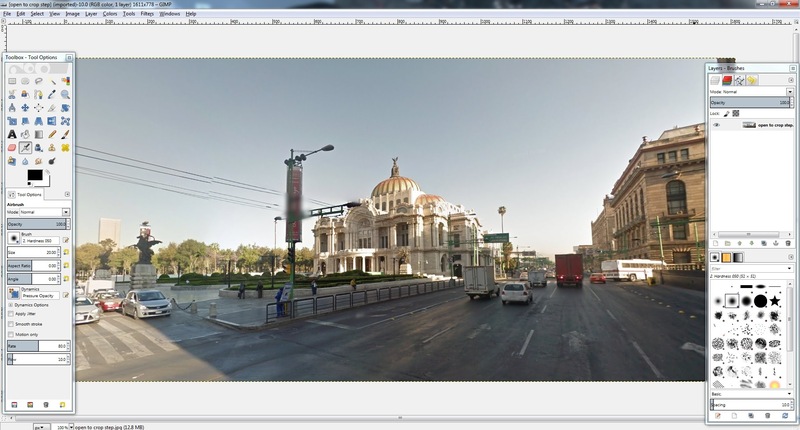 This can be frustrating as Street View may not provide the perfect perspective for the juxtaposition of the two images. This issue can be resolved by taking one’s own photograph at the physical location, but of course this is much more time-consuming and may require some travel. 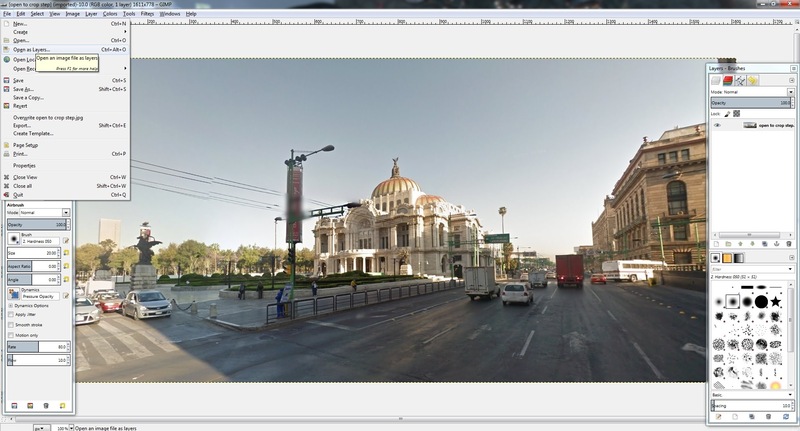 Once you have lined up your perspective in Street View as best as possible, it’s time to capture the images. 8. 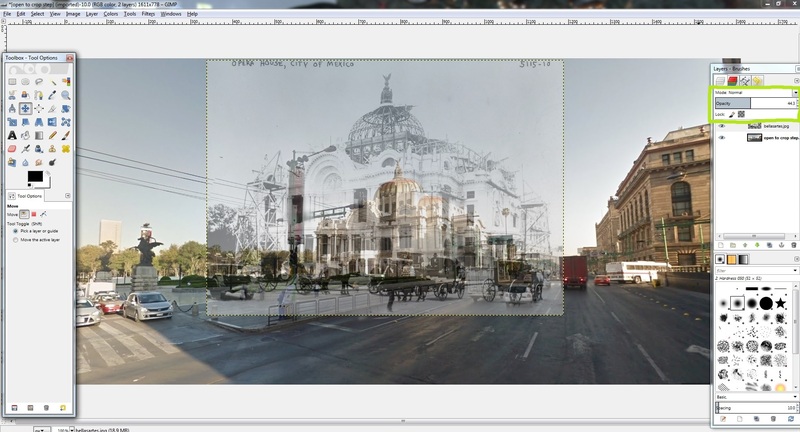 Do this process twice, once for the Street View image and one for the historical image, and save your new image files to a secure, familiar location on your hard drive (these steps can be skipped if you scanned and/or uploaded the image files to your hard drive yourself rather than from the web). 12. Now that we have our two images looking as similar as possible prior to juxtaposing, we are ready to open up the modern image first using our free image retouching program, GIMP. Certainly it is possible to retouch these photos using Adobe Photoshop, but money doesn’t grow on trees, and as an adjunct professor I’m always looking for ways to cut costs and instead utilize good quality freeware. 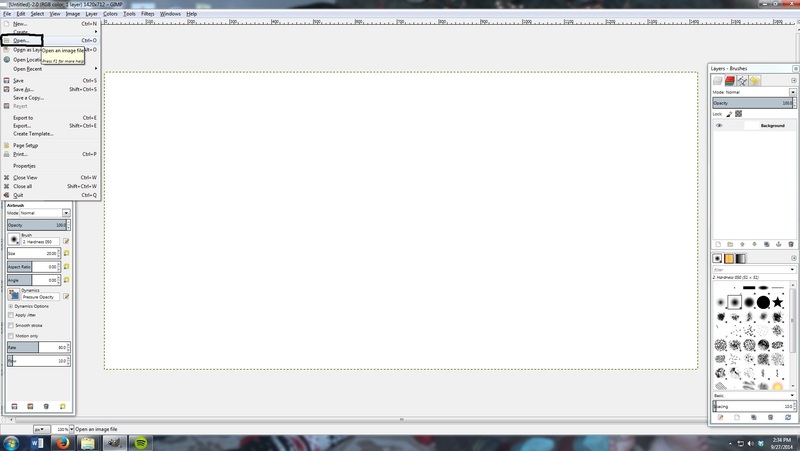 Download and install GIMP (I’ll be using GIMP 2.8 here) from their official website. 19. 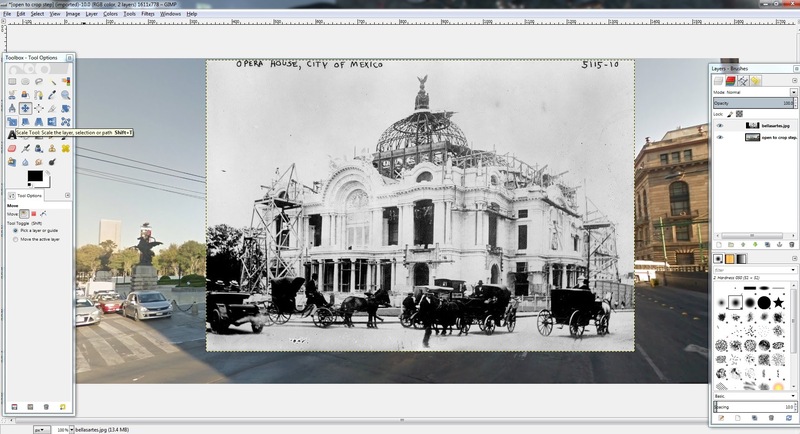 After you click the scale tool button, left click on the historical image to begin resizing it. 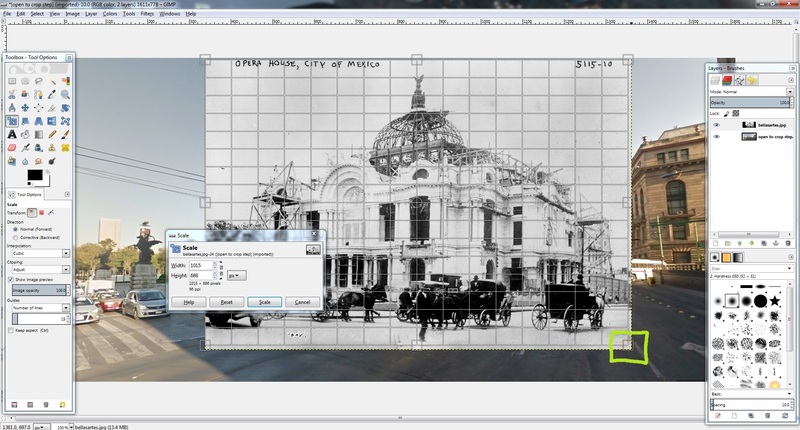 A grid and resizing boxes will appear over the historical image, allowing you to either input the exact pixel dimensions of the image or to left click and hold on the resizing boxes at the edges of the image. (See image below.) I prefer to resize using the latter method, but be sure to hit the “scale” button on the pop-up box once your resizing process is complete. However, to “perfectly” line up the two images, you’ll need to use a combination of “scale,” “move,” and a particular image attribute explained in the next step. 20. The obvious challenge in lining these two images up and resizing/repositioning the historical image is the inability to see through the historical to the modern for accurate juxtaposition. This can be resolved by adjusting the “opacity” of the historical image via a slider bar located under the “Layers” window on the right side of the screen. (See image below.) By clicking/sliding this attribute’s value (0-100), the historical image becomes more transparent as the opacity value goes down. 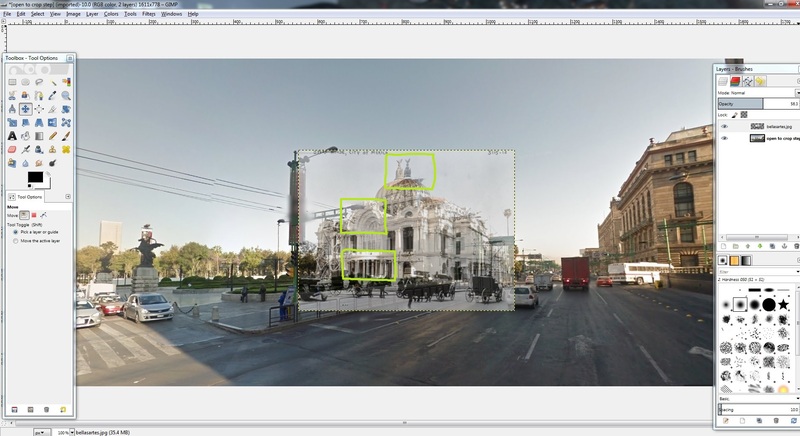 By doing this, the modern image can more easily be seen in the background, allowing for accurate resizing/positioning of the historical image. 22. Once the two images are properly juxtaposed on top of one another (see image below), it’s time to remove unwanted visuals from around the historical image in order to blend it into the modern landscape. 23. 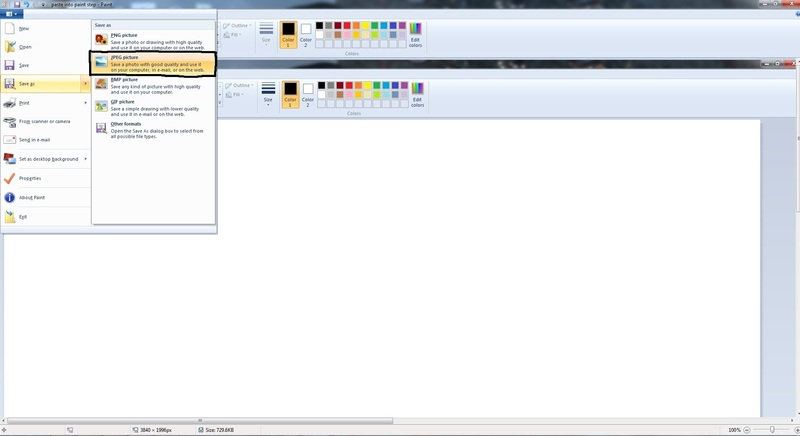 The final tool to be utilized is the “eraser” tool, located on the toolbox window on the left side of the program. (See image below.) 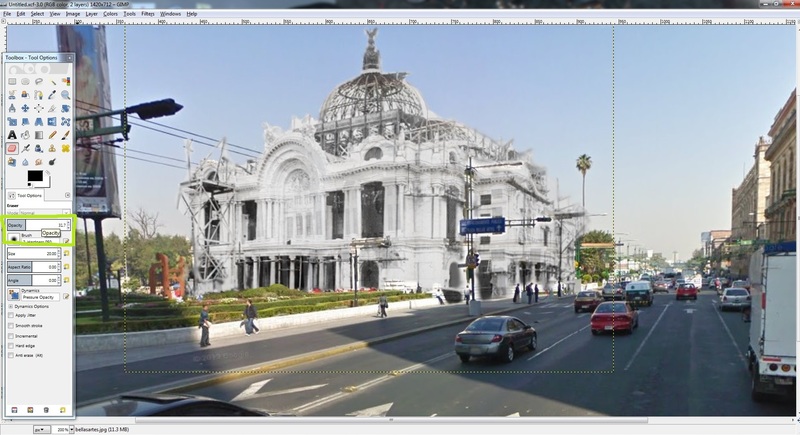 Adjust your brush size, hardness, and opacity to remove the background from the historical image. 27. 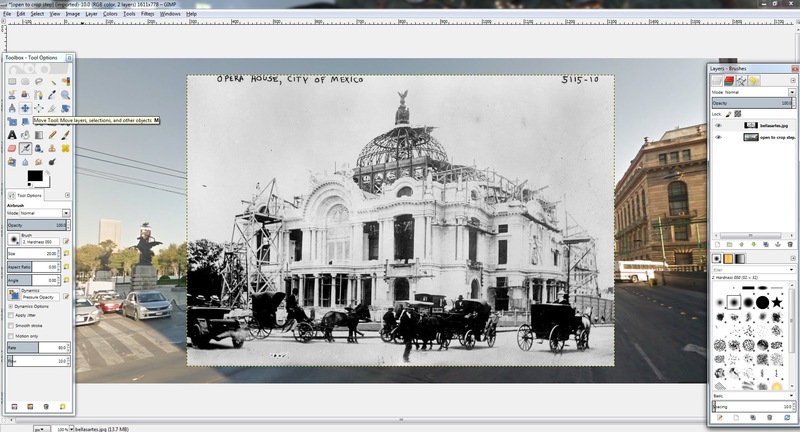 These steps are a very crude, simple means of juxtaposing a historical and modern image, but I hope this tutorial provides a starting point for historical enthusiasts/image retouching novices to get started. I will continue to update and edit this tutorial as I learn more about fine tuning the process and improving the quality of the final product. I look forward to seeing your images! After the wonderful but time-intensive relationship with Twitter in my world history surveys last semester, I decided to take a break from group projects and social media. This semester I gave my students a chance to create their own uncompromising, individual vision for a history project. Using the free, web-based software provided by Tiki-Toki, my 260+ students all “translated” research papers they completed earlier in the semester into digital, interactive timelines available for public consumption. As I stated in my post concerning the Twitter project, I am a huge believer in the capacity for these types of digital projects to empower, inspire, and educate students through the use of such a student-centered approach to learning. Through the creation of these timelines, students learn a greater appreciation of chronology and periodization, the art of constructing a historical narrative fit for “everyman” usage, and training in the usage of a powerful digital toolkit. I’m happy to say it was extremely difficult to narrow it down, but below are the top ten timelines produced by my students this semester. Enjoy! For my initial mapmaking projects on Mexico City during Uruchurtu’s tenure as regent, I plan to focus on the construction of new public works throughout the growing metropolis. 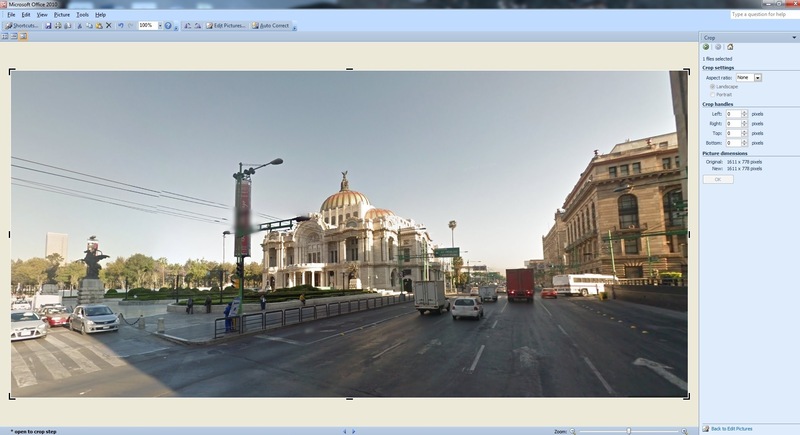 As an aside, in my descriptions of this project as well as in future projects, will I use the terms “Mexico City” and the “Federal District” interchangeably, as both terms are commonly used to describe the geographic territory composed of the actual capital and its twelve surrounding delegations (administrative divisions). The greater metropolitan area composed of numerous municipalities adjacent to the Federal District remained outside the domain of city leaders and was administered by corresponding state governments. This first project will focus on the construction of new street lamps for the city, part of Uruchurtu’s plan to modernize and moralize the urban landscape. During Uruchurtu’s first two terms as regent from 1952-1964, over 81,000 mercury lamps and over 35,000 incandescent lamps were installed throughout the metropolis, actions which purportedly turned Mexico City into “one of the best illuminated cities in the world.” The geographic placement of these two basic types of lamps revealed the dual function which illumination could serve for the production of power within the spaces of the city. In the wealthier colonias near the city center, DDF engineers installed 250 watt, mercury “colonial-style lanterns” which sought to “add a touch of bygone elegance, suitable to this part of the city which is a product of Mexico’s illustrious past.” Uruchurtu and the DDF used the installation of such softly lit, ornate street lamps to reveal the beauty of this sector of the city, the tree lined sidewalks and colonial architecture of these older neighborhoods symbolic of an idealized cultural past. 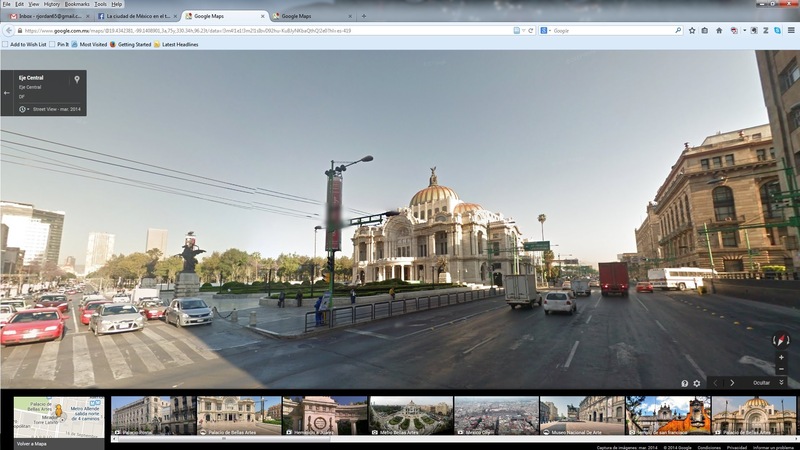 Near the Centro Histórico, structures inscribed with cultural and nationalistic meanings such as the Catedral Metropolitana, the Palacio Nacional, and the Plaza de la Constitución were especially well illuminated. These ornately illuminated religious and civic temples were capable of inspiring intense loyalty to the imagined community of la patria and served as powerful political instruments for the ruling party. In contrast, for the colonias proletarias, the DDF installed extremely tall, 400 watt incandescent lamps which cast a wide arc of intensely bright light. These modern, industrial looking street lamps were not designed to illuminate the beauty of the neighborhoods they were installed in. Instead, they were intended to penetrate the dark spaces within working class neighborhoods, areas which were considered a breeding ground for immorality. Within the rhetoric of urban planners, the electrification of these “modest zones” of the city went hand in hand with modernization, the safety and security they provided a “necessary requirement for any modern city.” In early 1955, Uruchurtu ordered the Department of Public Works to cooperate with the DDF police in identifying gaps in the illumination of the colonias proletarias, with the regent’s focus primarily on the security aspect of lighting for the city. 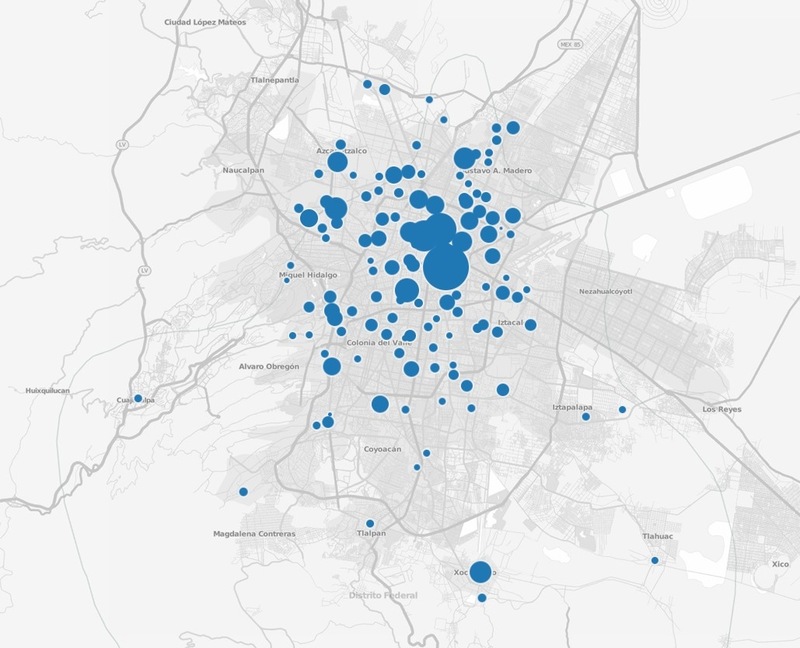 The electrical illumination of these neighborhoods increased the visibility of residents to police patrols, thus discouraging the potential criminal activities of residents through an expansion of the state’s surveillant gaze. 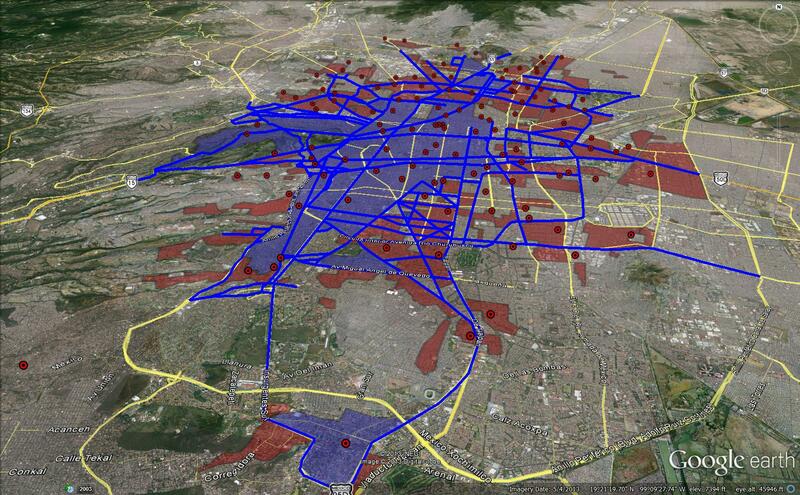 The map displays major roadways and neighborhoods with mercury lamps in blue and the incandescent lamps in red. To create this map, I compiled data from the public works archives of the Department of the Federal District (DDF) which provided street names and the types of lights, but not the exact total of lights attributed to each street. The DDF data provided the total number of street lights constructed during this time period, but no data from year to year or month to month. 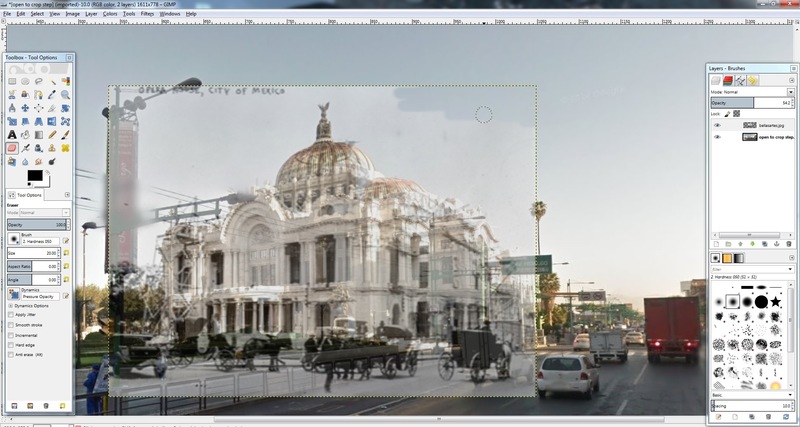 However, as much as this mapmaking project is incomplete in some respects, it is a starting point for further investigation and just one of many layers I hope to overlay on top of the city’s landscape in order to partially recreate Mexico City during this formative time period. To view a more interactive version of this map (something which I highly recommend), you can directly download the .kml file to be opened with Google Earth here. Stay tuned over the next week or two for another project on market construction. I’ve been spending a lot of time lately tinkering with potential mapmaking tools, looking at existing projects, and getting frustrated with my lack of knowledge on the developer/GIS side of things. Modest Maps, Polymaps, and R can produce some excellent results, but they all require a basic understanding of programming in order to use them properly, a skill which I simply don’t have time to learn during the remainder of the summer. ArcGIS on the other hand, the industry standard for professional cartographers, doesn’t require any programming knowledge, but its interface is incredibly complex and requires a great deal of training to understand. 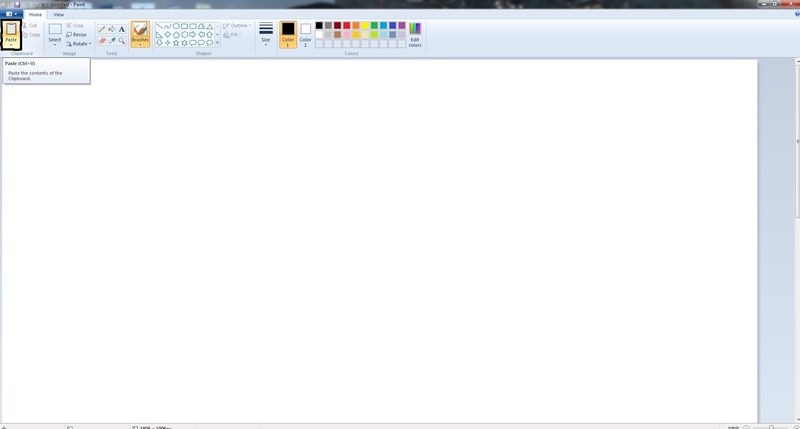 Therefore, I’m going to stick with using some simple mapmaking tools for my first few cartography projects. There are a number of intuitive mapmaking programs worth mentioning which are capable of quickly producing high quality results, so picking the easiest/best one can be difficult. 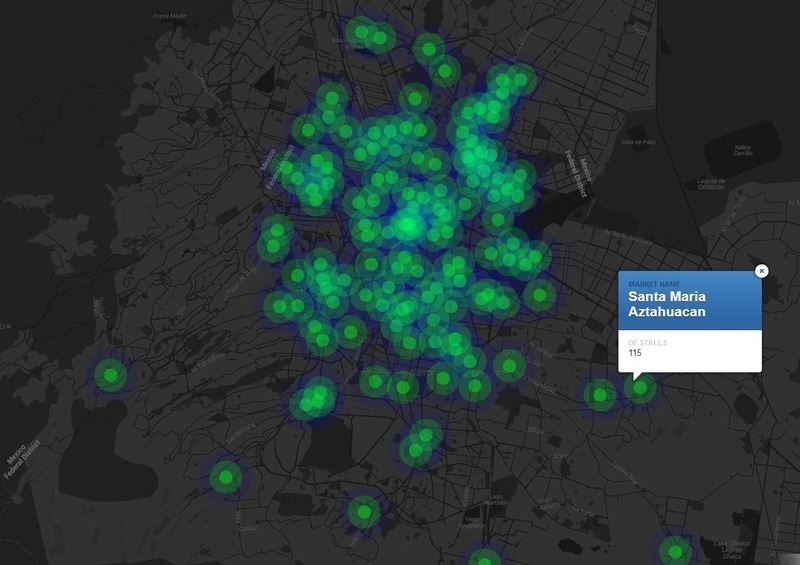 Tableau, Many Eyes, GeoCommons, Indiemapper, CartoDB, and TileMill can all be used to build maps by uploading layers from a wide variety of data sources. However, the simplicity of use and the customization options vary greatly among these programs. Tableau is one of the more versatile and highly customizable tools, but it is extraordinarily expensive. The personal edition and professional edition cost $999 and $1,999, respectively, at the time of this post. However, there is a “public edition” of Tableau available for free, but just like Many Eyes, users are required to upload their work and cannot keep it private/unlisted. GeoCommons, Indiemapper, CartoDB, TileMill, and Many Eyes are all free, but each mapmaking tool has its own set of strengths and weaknesses in visualizing certain kinds of data sets. I’d recommend giving many of these sites a quick glance to see which program works best for your particular project, the right program being largely dependent on the complexity of the data set you are trying to visualize. For now, Google’s toolset should work just fine to get me started. Google just recently granted access to Google Maps Engine Lite, which allows you to create clickable layers (a much needed feature unavailable in Google Maps), but limits the size of the data sets to 100 rows. Unfortunately, nearly all the projects I have in mind are much, much larger than 100 rows. Therefore, to visualize the street lighting data, I plan on exporting my data from Google Maps into Google Earth as a .kml file, a task which isn’t as simple as a click of a button, but not hard to learn how to do. 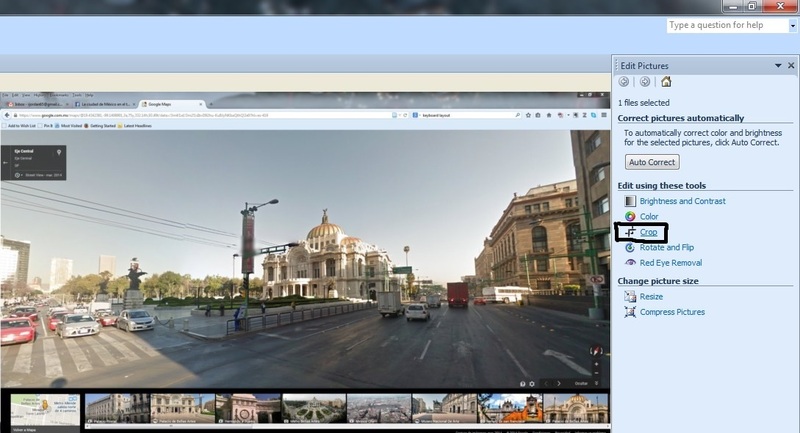 From Google Maps, just click on the create a link button, which gives you a copy/pastable url for your map. Paste that url into an empty address bar and type (without the quotation marks) “&output=kml” at the end of your url. 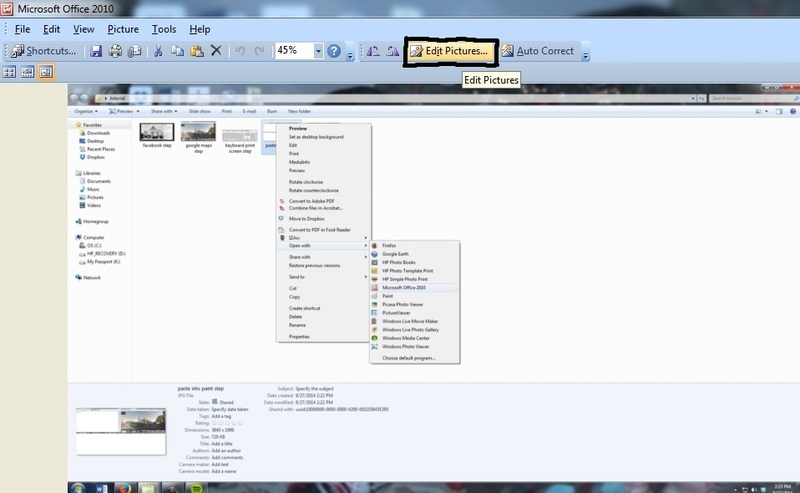 Hit enter and that should create a downloadable .kml file which you can then open with Google Earth. 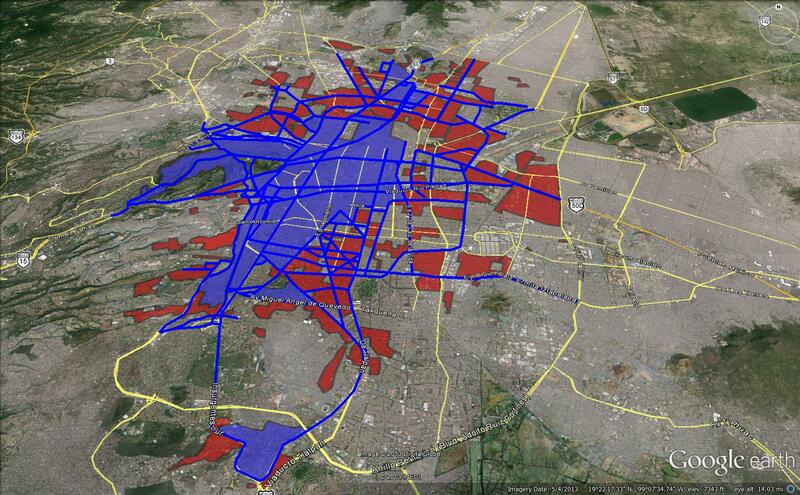 So far, my data looks great superimposed over Google’s 2013 map of Mexico City, giving the viewer a good sense of the rapid growth of the city over the last 50+ years. I should be able to finally publish the data in the very near future, so stay tuned.